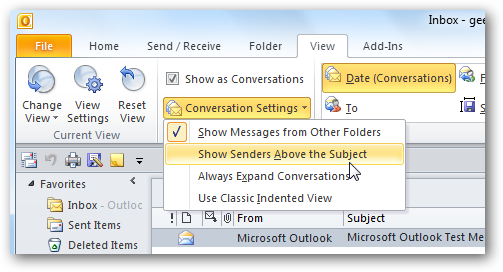 One of the new features in Outlook 2010 is the ability to use Conversation View for easier management of your email conversations. Here we will take a quick look at how to use the new feature. To access Conversation View click the View tab on the Ribbon. Then check Show as Conversations and select All Folders or Current Folder. Now you can select how you want to arrange the conversations by the To field, who messages are from, Attachments, Importance…etc. 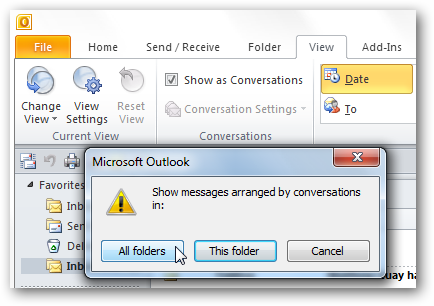 You email conversations will be arranged in the order you select. There are also different ways you can arrange your conversations by expanding the Conversation Setting menu. Then select how you want them to be displayed. 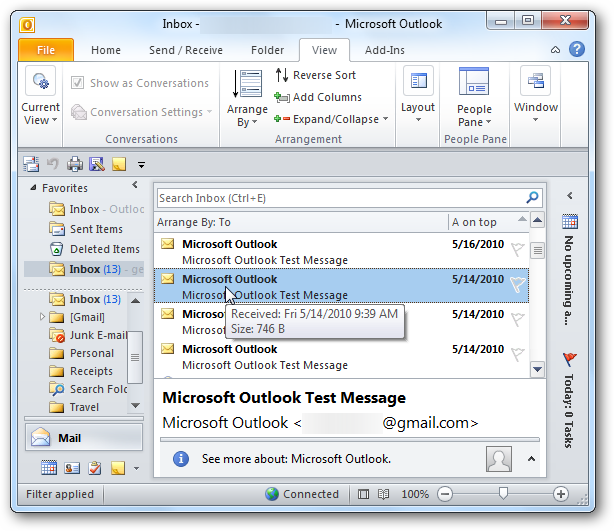 If you’re looking to keep your relevant email conversations together in an easy to use format, using the Conversation View in Outlook 2010 is a good way to help. This is especially helpful if you have a lot of emails scattered through your Inbox and are related to the same subject.